If you watch any news channel by the ITV Media Group, you probably know the pioneer behind it too. Kartikeya Sharma is one of the youngest and most popular entrepreneurs in India right now who has managed to accomplish a lot in a short span of time. Studying at top universities like King’s College London and Oxford University, Sharma honed his brilliant and creative mind and went on to start many media businesses and sports organizations. 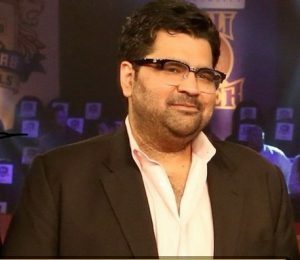 Kartikeya Sharma did not let just news media be the definition of his success. In 2015, he took into account that there was a lack of a global platform for Indian athletes and sportsmen that would enable them to be recognized the world over. That was when he set up a sporting enterprise called ProSportify. It takes people years to reach the point where Sharma is at right now, and we will see how he managed to do so in less than a decade. Even though Sharma has managed to do all of these things in a short span of time, he reveals that he does not have a success formula for whatever he has done. He believes that there are underlying factors that have made everything possible, that consist of his relentless determination and strong leadership skills that enabled him to lead a team that shared the same vision as he did. He also mentioned that one of the most important factors that bolstered their growth was the fact that they maintained an unbiased attitude in newsrooms, which was highly crucial as people deserve authentic and valid news. We will see in this article exactly how he did that. The Establishment and growth of ITV Network. A news company based in India with online and print publications along with regional and national channels under its umbrella, iTV Media Network was launched in 2007. Today, iTV Network is responsible for employing more than 3,000 employees across its 80 offices that are spread across India. Sharma acknowledges that the achievements were made possible because of his—and his team’s—enthusiasm and determination. The Journey of India News. Initially, Sharma had the intention of launching a national news channel that would operate round the clock. However, things did not go as planned because at the time of iTV Network’s launch, India was facing an economic crisis. But this did not stop Sharma in any way, and he decided to turn things in his favour despite all obstacles. He started off by launching a regional news channel, which grew into five regional news channels a short while later. In 2007, Sharma also launched a national news channel that would soon become known as the most popular Hindi news channel: India News. Their motto “DeshkiDhadkan” enables them to keep the people of India connected with relevant issues along with providing them with authentic and reliable news. The growth of India News. Because of how iTV Network’s support, India News grew rapidly, increasing its market share from 1% to 9.5% over the years. Operating in one of the most competitive genres of media in the country, India News became the top Hindi news channel because of its growing number of viewers. In 2015, they won a stream of awards at the ENBAs for Best Business Programme, Best News Producer and Best Television Editor in Chief (which was allocated to Mr. Deepak Chaurasia). 2016 proved to be a very promising year for India News and iTV Network as they won a plethora of awards for Best Business Programme in Hindi, Best in Depth series in Hindi, and Best Continuing Coverage by Reporter and Best Video Editor. Their most recent accomplishment is the Gold Award at the ENBA 2018 for Best International Coverage and Best In-Depth Series. One of the reasons for their growth and success is that they have been working consistently over the years. Their strategies involve catching onto trends early on and even setting them. But the most important thing they do is take up issues that are faced by the majority of Indians. That is why the channel resonates with the common public. Owing to the relentless determination of iTV Network that resulted in the major success of India News, six more regional channels were launched by the network, in Rajasthan, Uttar Pradesh, Haryana, Punjab, Gujarat and Madhya Pradesh. Today, iTV Network dominates the regional news space of India as it did not just restrict itself to the Hindi domain. Just like their national channel, their regional channels have also proved to be lucrative, and in terms of the coverage, they cater to some of the most remote places of India in Uttarakhand and Chhattisgarh. This is quite an accomplishment for India News, as they are able to offer in-depth coverage of crisp quality, in engaging formats with lots of ground-zero reporting.